On Wednesday November 17th, I attended the Corporate Executive Board’s Enterprise Council on Small Business member meeting in Philadelphia. The meeting entitled Selecting and Building Channel Partnerships included attendees from about 10 member companies such as; Xerox, Symantec, Experian, Erie Insurance and Comcast, who hosted the event. How small business owners want to buy – business owners stated that the type of supplier most preferred was a local supplier (34%), followed by a sales rep selling multiple lines (26%). Top 3 reasons they buy from a local supplier; 1) location, 2) know them personally, and 3) responsiveness (immediate answers to questions). What high performing partners want from companies – 1) Training (all types), 2) Evaluation (compensation related), and 3) Resources (access to information, additional infrastructure, etc.) This was interesting because low performing partners ranked Leads as #1. High Performing vs Low Performing Partners – the size or maturity of the partner’s business did not impact the findings, however the age of the ownership team did; younger partners performed better than their older peers. Partner Compensation – the preferred plan was overwhelmingly “percentage of sales” 38%; flat $ per unit commission 17%, and discount (either dollar or percentage) was 13%. Measuring Partner Performance – 61% of partners said that they are evaluated on a single metric. Number one metric “Volume of Sales”. Most of the attendees also agreed, only one had used an additional measurement for performance. Using a Third Party Facilitator – the use of a third party mediator was highlighted in one of the best practice case studies. The company used an outside facilitator to help the two companies negogiate a partner agreement. The goal of the mediator was to encourage honesty, and bring about an accurate appraisal of the relationship potential. Really interesting process to get at what’s in it for both parties, and for getting everyone aligned on expectations. My key takeaway was that there is a significant opportunity to improve partner performance that is being missed. The opportunity is directing partners to desired customers and/or market segments. Granted some partners are selected just for that reason, but in general, companies do not typically articulate what customers they want or who are best for their products. A couple of members mentioned that they organize products against customer segments and assume that points partners in the direction of those customers. Large companies have long recognized the opportunity to address the needs of small business (26 million firms <99 FTE’s). Over the years, companies like IBM, American Express and Google have spent millions to try to understand the segment and convince business owners that they have the products and services they need. Yet, they still struggle to capture of the opportunity in this segment, for a number of reasons. Despite their best efforts, they often fall back into their “big company” ways. They speak the wrong language, have a hard time creating compelling offers, and/or reinforce perception that they’re too big to serve small businesses. Whether you’re a Fortune 500 company or an INC 500 firm, here are 10 key points to keep in mind when selling to the Small Business segment. All Insights below are taken from various research reports produced by the Executive Council on Small Business. 1. Don’t call them Small Businesses – despite this becoming common knowledge for many selling to this segment, companies still make the mistake. Despite the fact that 60% of small businesses, as defined by the U.S Census Bureau 2008, have less than 5 employees, don’t call them a small business. 2. There are 2 different types of business owners – one type of owner is focused on growing their business, the other surprisingly, is not. Know the difference when targeting this segment. 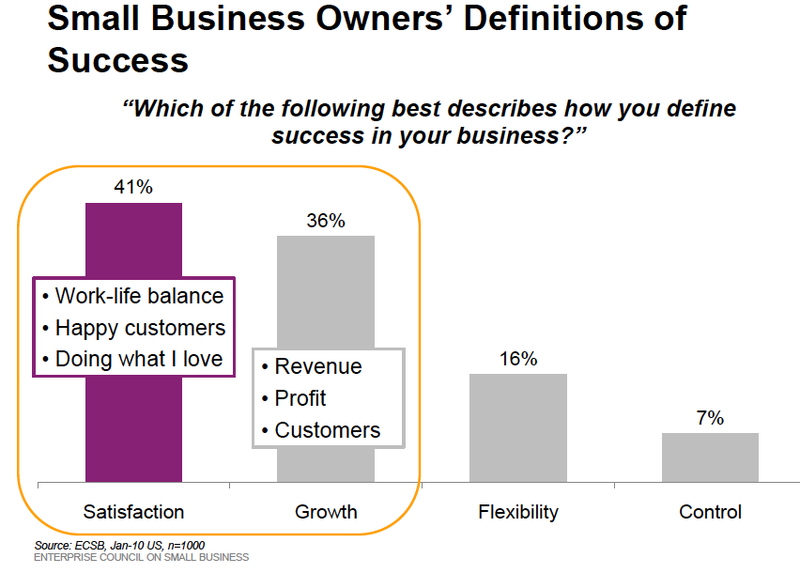 “Satisfaction owners” know also as “lifestyle owners” are older (>46) and more likely to have higher revenue businesses. They are in it because they love what they do and enjoy the work-life balance ownership present. “Growth” owners are more likely to be in retail, and more likely to have owned or own more than one business (serial entrepreneurs). 3. They are in the Service Business – for the most part small businesses are focused on providing services. 60% of small business are; professional services or other services (dry-cleaning, florist, cleaning service, etc.). 4. Speak THEIR language – As you might have already picked up, this will be a reoccurring theme in the post. 3X as many business owners find a sales person more trustworthy if he/she discusses savings in dollars rather than percentages. To be credible give them specific details, contact information and testimonials for other business owners (Top 3 Indicators of Credibility). 5. Small things are a BIG Deal – according to the research, a major purchase decision starts at $500. Cash flow is the lifeblood of small business don’t under estimate your need to prove value or ROI on what you would consider small transactions. If you’re talking about cost savings, express it in monthly terms rather than annual. 2X as many owners expressed seeing savings monthly rather than yearly. 6. Resources and Time are Tight – owners now make a purchase decision in less than a week for complex and simple products. 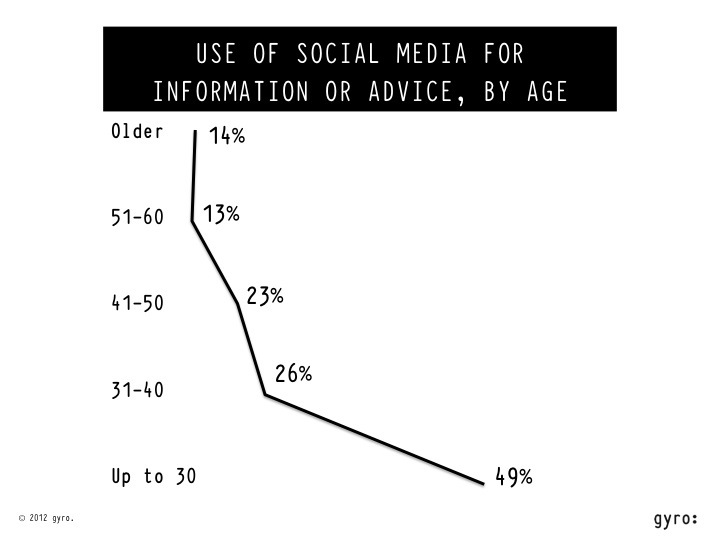 43% said that it now takes them less time to make a decision than it did 5 years ago. They search online, visit your website, and then call to confirm what they’ve learned. 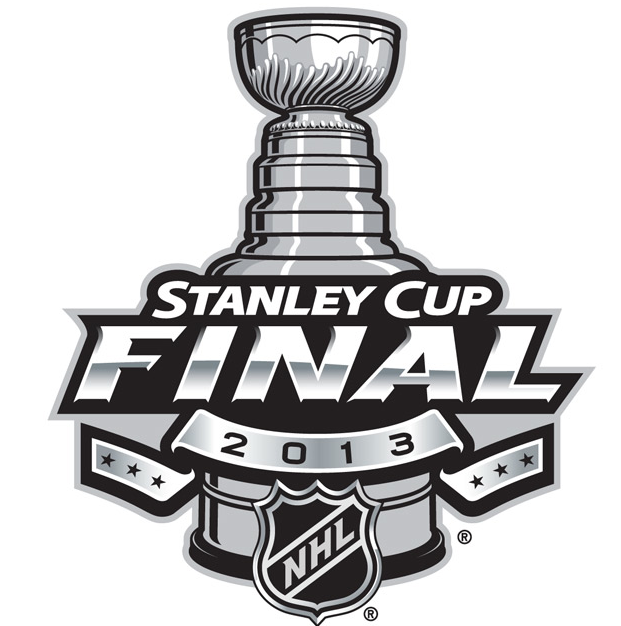 SEO is critical if you’re going to play in this segment, as you will see below. 7. They Love to Search – Business owners purchase patterns have changed, instead of contracting it’s now expanding. 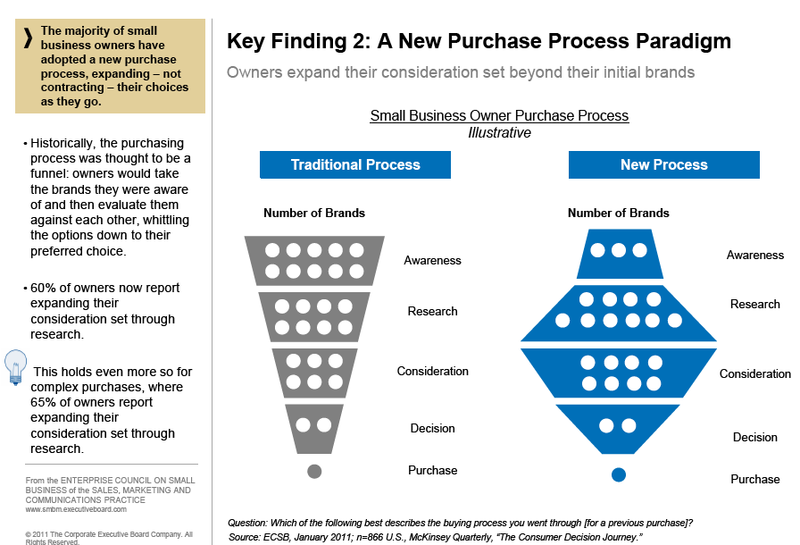 Rather than narrowing their list of vendors, 60% of owners now report expanding their consideration set through research. 9. Search is Important, but Social Isn’t – as you saw in the previous examples Search is critical for being considered, but interesting enough, Social Media is not. 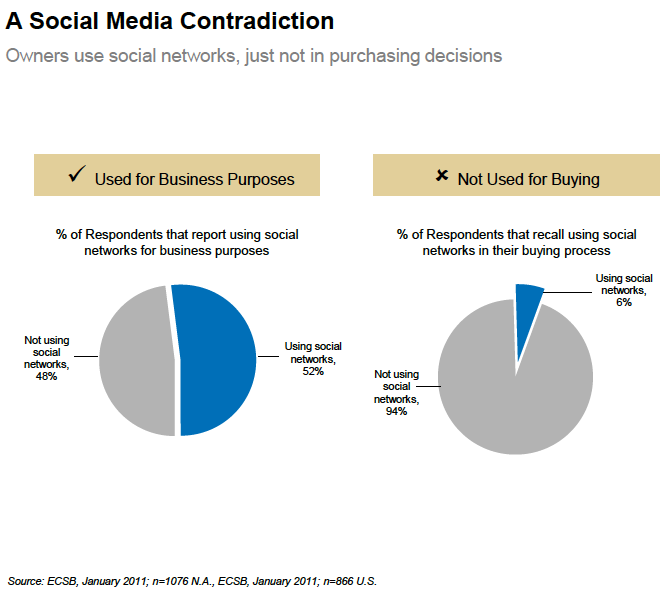 The reason – small business owners view social media as a channel to speak about their businesses, rather than hear what suppliers have to say. 10. If You’re Not Relevant…You’re Not Relevant. In today’s marketplace to resonate with audience content must be personalized. A recent Forrester report showed that most sales forces very capable of discussing products and solution, and even the industry issues, but when it came down understanding the buyer’s role or situation they failed. 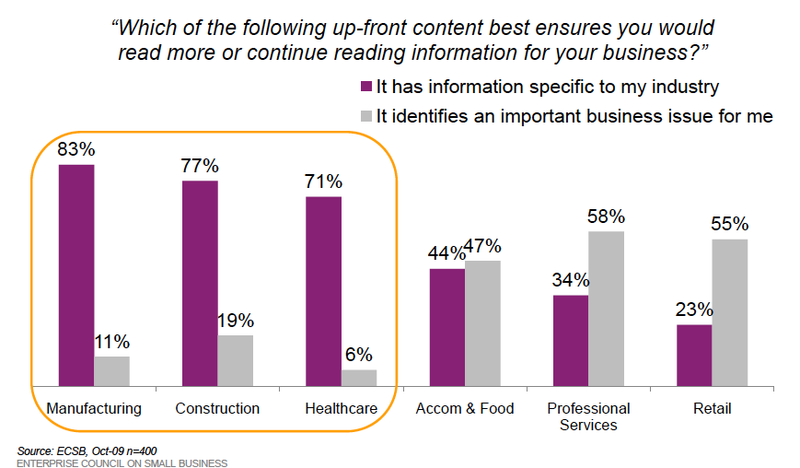 Business owners in healthcare, construction and manufacturing want information specific to their industries. Owners of professional services or retail want information specific to them. Satisfaction owners are looking for products and services that save them time savings and strengthen their relationship with customers. With Growth Oriented owners talk ROI, and time to payback. Summary – it’s OK to categorize your services or products as small business solutions, but don’t call the buyers small business owners. Recognize that there are two different types business owners focused on two different goals – lifestyle vs. growth. Both groups are interested in hearing your value proposition in terms of real dollars on a monthly basis, not over the year. Business owners are heavy users of search for researching vendors, and they use social media to promote their business, but not for buying from vendors. To be relevant your content must speak to their industry or similar size businesses. If you talk to them like you know them, show them you are committed to building a lasting relationship this dynamic market can power your organizations growth.